What can I tell you? 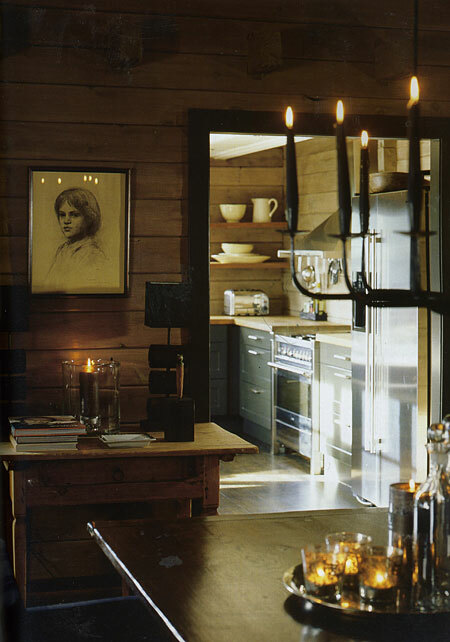 I can't resist even MORE Scandinavian kitchens! I was cleaning up my desk (I probably have 100 magazines in my office) and this one recent magazine had such great images in it. They're cozy, they're woody, if not in the cabinetry, then in the surrounding walls. I decided to show the last image of the oak door because oak is still quite unpopular in the U.S. But, look at that finish. It's new, fresh, and very sophisticated. This is not the "golden oak" finish that we once knew. From Interior Magasinet from Norway.